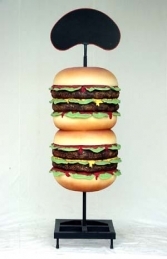 This delicious 6ft tall replica Hamburger is a super model to draw attention to your fast-food or burger shop. 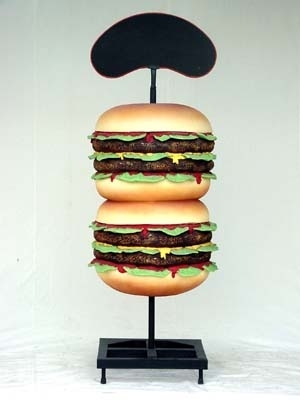 Packed with burgers and salad this mouth-watering double Hamburger model is a dramatic & attention grabbing way to make YOUR fast-food concession or shop stand out from the competition. 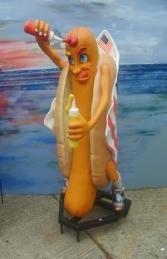 It can be used to draw attention to any shops, pubs or restaurants serving burgers. 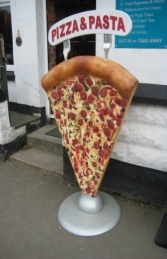 The model comes on a wheeled metal base & can easily be put into position outside your premisses.